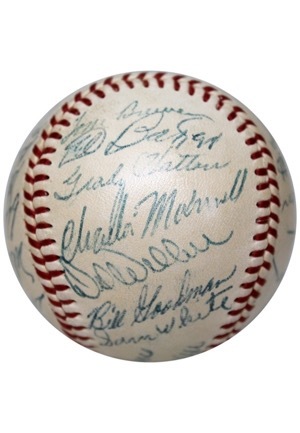 Reach manufactured OAL Harridge baseball team-signed by the 1954 Boston Red Sox. 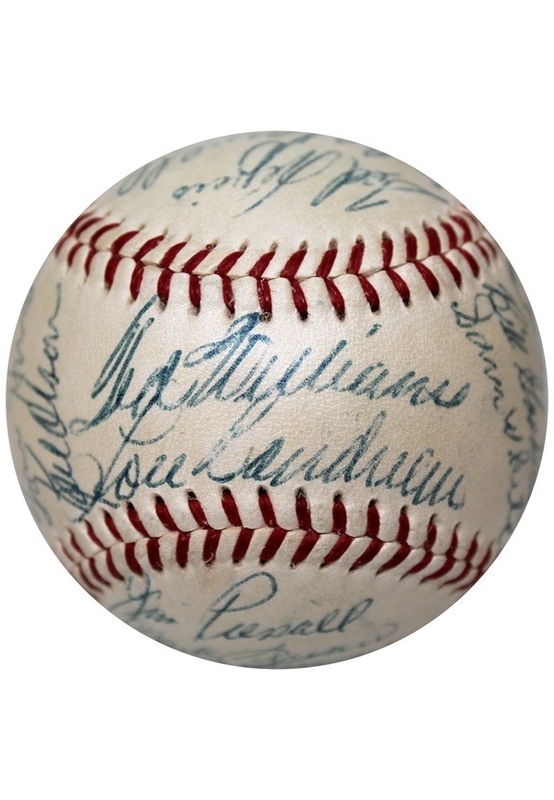 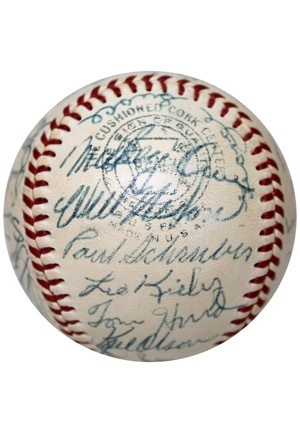 The ball is loaded with 30 signatures done in blue ballpoint pen and are highlighted by Hall of Famer Lou Boudreau. 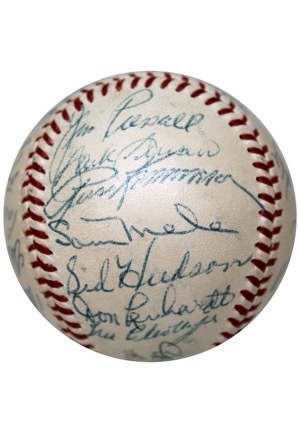 Also included are Harry Agganis, Jim Piersall, Jackie Jensen, Sid Hudson, Mel Parnell and many others. 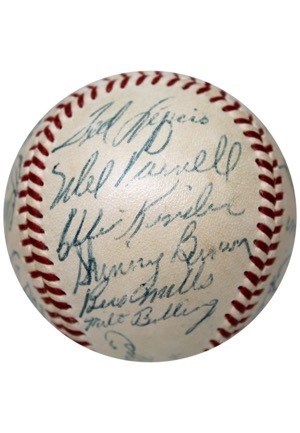 In our opinion the signatures rate between 7-8. 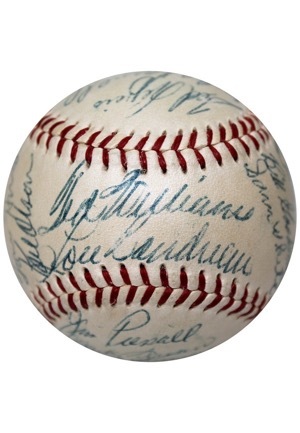 CH Ted Williams. 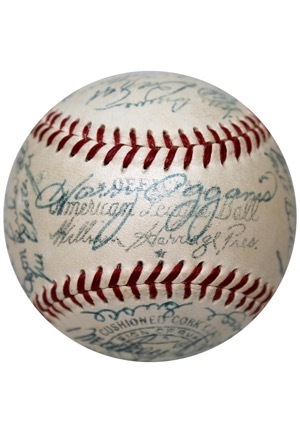 Accompanied by a Full LOA from JSA.